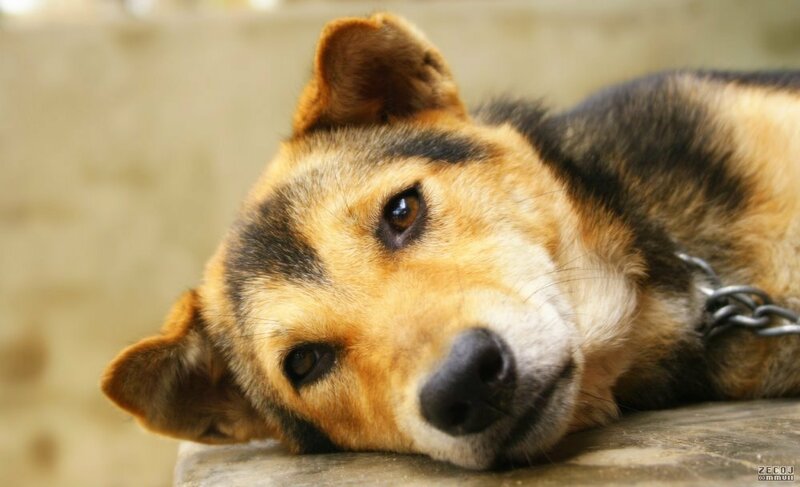 Whether you’re aware of it up front or not, adopting a traumatized animal is difficult. I would know. I did it. And I’m here to tell you one really important thing: Traumatized animals aren’t broken, and you can get them the help they need. Back in 2002, I adopted the most adorable little Jack Russell-Chihuahua mix and named him Mosby. I was warned up front that he’d been abused and that he did have some aggression toward other dogs (especially larger ones) and kids. I took him anyway because there was just something about him. As corny as it sounds, we clicked. But I’m the first to admit that I wasn’t prepared for all that comes along with a traumatized dog, and he might have gotten better faster if I’d only known what I know now. If an animal you’ve had for a while suddenly acts differently, you’ll probably notice, but what if you’ve just gotten the animal? Dr. Denise Petryk, director of veterinary services at Trupanion, notes that while it varies between animals, those that have been raised with a tough background will act differently than a typical house pet. For example, dogs and cats that have been traumatized might be reclusive and suspicious, and they may spend more time cowering in response to things like human voices or standing up. And they may be very defensive, aggressive and even dangerous. You may even see things like chewing, plucking, tearing hair out, a refusal to eat, excess noise. It’s important that you know the typical behavior of your pet’s species so that you can identify things that are out of the ordinary for your pet. If you know up front your new pet has a traumatic background, you should make the transition as comfortable as possible. Simple things like feeding it at the same time every day, giving it space for the most part and ensuring children don’t overwhelm it at first can make a big difference. Your new pet should be introduced to other pets slowly, not all at once, and if noises seem to upset it, keep the volume to a minimum until it adjusts. But Petryk also notes that for some animals, a loud, playful family may be all that’s needed to make them come out of their shell. Follow your pet’s lead, though. Building trust is the key. Animals are resilient, so many will adjust with nothing more than a loving and supportive environment. But if the trauma is severe, it’s not going to get better without the professional intervention of a certified animal behaviorist. Even a perfectly happy, healthy pet may be a little skittish or lack the same confidence you saw in the shelter when it’s suddenly in a new environment. That’s normal. If it displays any signs of aggression or doesn’t show any marked improvement in the first week, you need to get help (even if the animal doesn’t display any aggression). A traumatized animal can be dangerous, and it’s difficult to predict what the triggers for danger will be or which pets will turn the corner from suspicious and reclusive to a fear-biter. Once the vet has ruled out any physiological causes, call an animal behaviorist with experience in your pet’s species (yes, there are bird and horse behaviorists, too!). Note that a behaviorist and trainer are not the same thing. Someone can, of course, be both, but in general, a trainer specializes in teaching you and your pet the skills necessary for the animal to fit into your human pack and facilitates communication between you and your animal via commands. If you hire a trainer, make sure he or she has specific and successful experience with traumatized animals. A trainer who uses the wrong method can actually make matters much, much worse. Trainer Laura Roach, who specializes in training dogs with fear and anxiety issues, says that if you do choose a trainer, you need to look for one who uses reward-based training. “You absolutely want a trainer that only uses positive methods,” she says. She goes on to note that positive training helps build trust, which is vital in training because there will inevitably be a few negative interactions (we’re only human), and if your pet has seen enough reasons to trust you in the past, those negative interactions won’t cause it to withdraw from training — or revert to old habits for fear of being traumatized again. It took a few years, but after a lot of research, I figured out how to build that trust with Mosby. He’s still not a fan of big dogs, and kids do make him nervous, but I’m not worried about fear-biting anymore. When does dog anxiety become a serious problem?